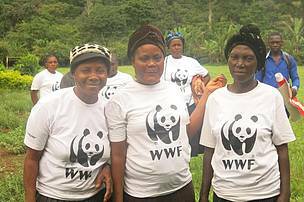 People are at the heart of our conservation work, in Cameroon and globally. 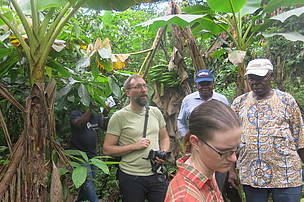 Through our work to protect nature and biodiversity for the people and wildlife that depend on them, we seek to support and empower the civil society to enhance their influence in political decision-making and policy dialogue, promoting rights to resources and generating benefits for local communities through sustainable management of natural resources. Promotion of green enterprise development: This is aimed at reducing poverty around protected areas through sustainable management of natural resources. This involves enhancing the capacity of rural communities to manage and benefit from natural resources through engagement in activities like beekeeping. 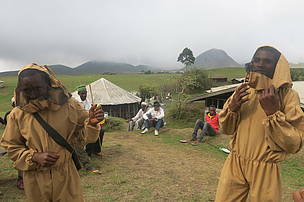 Supporting community management of protected areas: Involving local communities in the co-management of protected areas. This includes supporting communities to secure their rights over the use of natural resources. Youth empowerment: Building a culture of entrepreneurship among the youth centered on conservation and sustainable management of natural resources. Wildlife Research and Bio-monitoring: Improving wildlife monitoring and patrol effectiveness through applied research. Education for Sustainable Development: Working with schools and communities to develop knowledge and skills to address emerging environmental challenges for the promotion of sustainable development. Business and Industries: Promoting compliance with environmental and social standards and best practices to achieve sustainability in the agro-industry. This involves working with smallholders to reduce the ecological footprint of certain agricultural commodities, such as palm oil.